Viber, the VOIP service purchased earlier this year by the Japanese eCommerce company Rakuten, now has the ability to make Viber video calls on mobile. 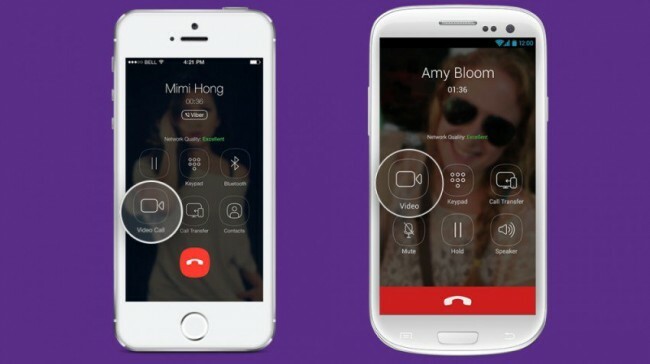 Previously, Viber users could only make video calls using the app’s desktop platform. Mobile Viber users – both iOS and Android – were limited to making voice calls and sending text messages. Now, Viber users on Android or iPhone devices will be able to make free video calls to any other Viber users who have the app installed on their device, reports the support section of the Viber website. According to a report from The Next Web, the addition of Viber video calls on mobile devices was two years in the making. Video calls will be possible on mobile devices even if connection strength isn’t the best. Viber says to make a video call to a contact, it must first start as an audio call and users can pick a video option once the call is connected. Inside a video call, users can send text messages or even transfer the call to a desktop device from their mobile phone. You must have an iPhone 4S or later. A front-facing camera with at least 1.3 megapixels and internal memory of 1.5GB of RAM or more. The addition of Viber video calls on mobile could make it an even more viable alternative to Skype (owned by Microsoft), Google Hangouts, and Apple’s FaceTime. This is especially true for small businesses that need to utilize video conferencing and make a lot of international calls. Currently, Viber touts that it has 400 million users worldwide, so there are plenty of other people to talk to including potentially some business contacts. Viber users don’t need a separate account login name. The app uses your mobile phone number as a login. After the app is downloaded to your device, it scans your contacts to find other Viber users. Viber also allows group calls with up to 100 users on board, according to the company’s site. If a Viber user must call someone who doesn’t use the app — for instance on a landline phone — the built-in ViberOut feature offers call rates as low as 1.3 cents-per-minute, including for international calls. Rakuten’s long-term stated goal for Viber when acquiring the platform back in April, was to turn it into part of an eCommerce platform. So further business applications may certainly still be ahead.